It’s impossible to miss the many cranes looming over downtown Portland, or the new housing and retail projects cropping up all around the metro area. But while these are boom times for the construction industry, contractors who are minorities, women, emerging small businesses or service disabled veterans (MWESBSDV) often face barriers to gaining a share of the opportunity. 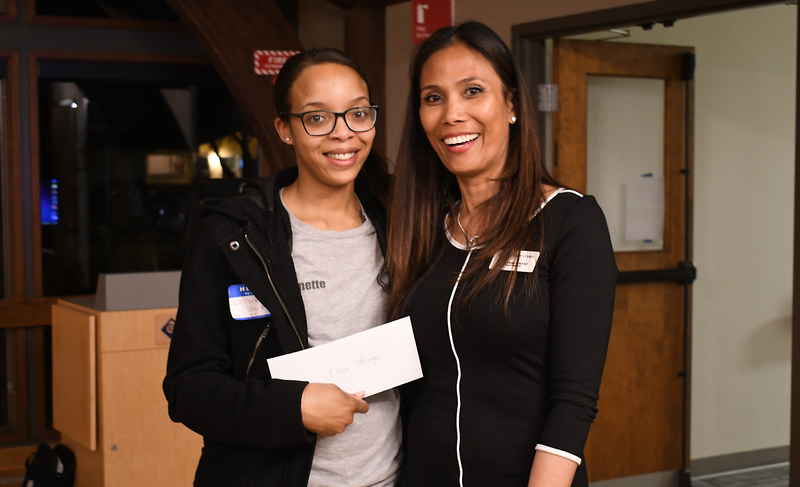 As part of its commitment to promote diversity and equitable contracting, Portland Community College recently hosted a free outreach event for MWESBSDV contractors at its Southeast Campus. 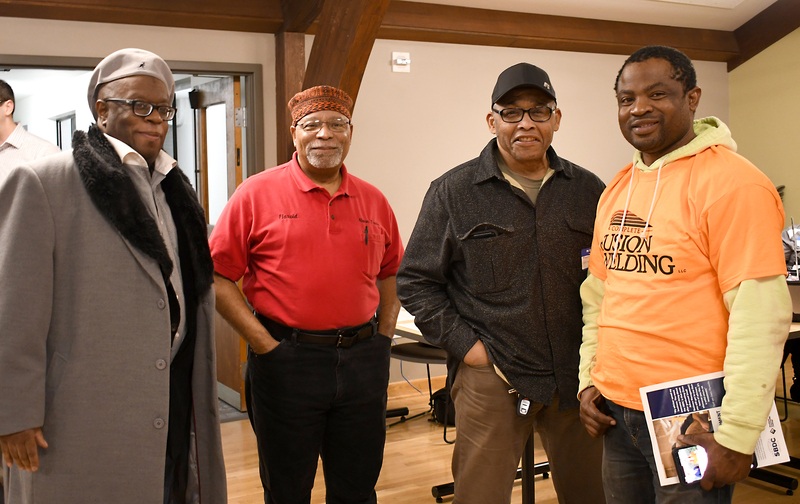 The get-together was organized by the college’s Planning and Capital Construction and Facilities Management Services offices. 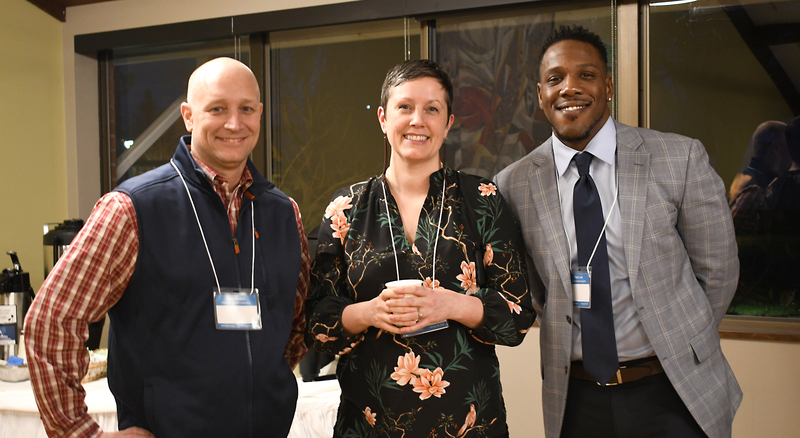 Some 60 attendees were able to meet face-to-face with industry executives and learn about upcoming contracting opportunities, as well as network with one another. In addition, representatives from several financial institutions were on hand to answer questions. The “speed-dating” format for the evening was designed to be dynamic and enjoyable. Instead of a parade of presentations in front of an audience, attendees had five minutes at a time in which to circulate and “sell” their services to prospective general contractors, before moving to the next table to meet another Project Manager. General contractors at the event included Mortenson Construction, Robert Evans Co., and Lease Crutcher Lewis, as well as representatives from Oregon Certification Office for Business Inclusion and Diversity, and PCC’s Small Business Development Center, Facilities Management Services and Planning and Capital Construction. Participating banks were Wells Fargo, Bank of the West, and Beneficial State. Maxximo Insurance was there to address bonding needs. Organizer Tyrone Henry — MWESB outreach manager for the Planning and Capital Construction office — said having key companies present gave small business owners the opportunity to make invaluable connections. Henry explained that minority, women and other small business owners often lack the network of connections that facilitate business for non-MWESBSDV firms. Another barrier is not having the substantial financial resources required to cover payrolls for the industry’s prevailing wages. 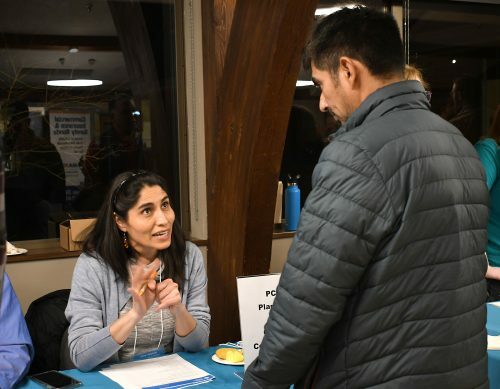 At the outreach event, attendees were able to learn about the many projects PCC is planning under the bond measure approved by voters in 2017. They include some new construction — such as Cascade Campus’ new public safety building — as well as a long list of work that addresses repairs, renovations, safety improvements and replacing outdated technology and equipment. Erika Wong, a graphic designer looking to launch her own freelance business, said she found the “speed-dating” format of the event useful and fun. Neil Lee is an architect who prior to the 2008 recession employed 12 people. He said that after the downturn he changed his business model and now prefers to work by himself. He attended the MWESBSDV event “mainly to keep my face in front of people so they know I’m here. Dennis Stone, a long-time owner of a commercial flooring company with six employees, said he participated in the speed-dating because he wanted to learn about MBE/DBE certifications that will allow him to expand his business and do bigger projects. PCC’s Henry said the response to the outreach event has been gratifying, and that he is seeing progress — albeit it slow progress — in diversity hiring. Plans are underway for another MWESBSDV event at the PCC Rock Creek Campus on April 23. Read more about PCC’s contracting opportunities on the college website.